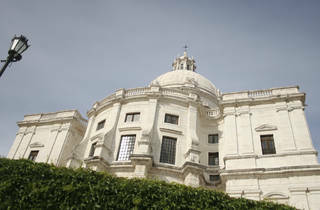 The dome of this church was completed in 1966, a mere 285 years after the building was begun; hence the Lisbon expression 'a job like Santa Engrácia' - one that takes forever. The church is on the site of an earlier one, which was torn down after being desecrated by a robbery in 1630. A Jew was blamed and executed, but later exonerated. Before dying he is said to have prophesied that the new church would never be completed because an innocent man had been convicted. The first attempt at a new Santa Engrácia duly collapsed in 1681 (construction error, compounded by a storm, may have been to blame) and work restarted the following year. 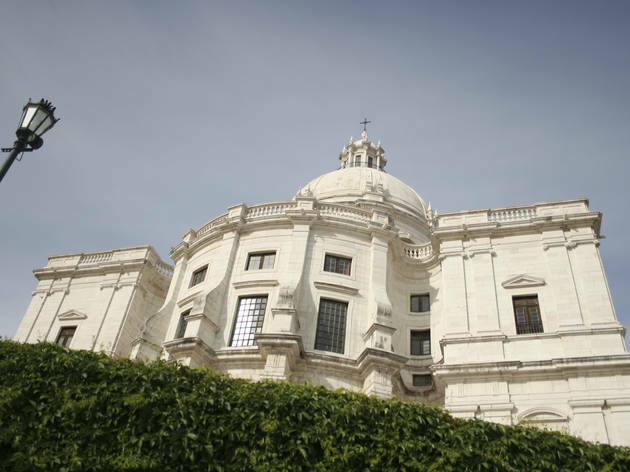 The new plan, by master stonemason João Antunes, bears many similarities to Peruzzi's plans for St Peter's in Rome, and marble in various colours dominates the interior. In 1916, the Republican government decided the then still roofless Santa Engrácia would become the national Pantheon, a temple to honour dead Portuguese heroes. Among those since laid to rest here is General Humberto Delgado, an opposition leader assassinated by the secret police in 1962, and fado diva Amália Rodrigues.